American Accent. 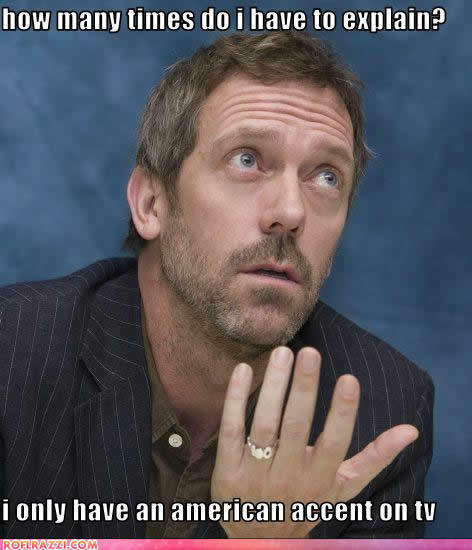 I didn't make it, just found it.. Wallpaper and background images in the Hugh Laurie club tagged: hugh laurie american accent lol meme accent. This Hugh Laurie fan art might contain picha, headshot, and closeup. lol that is so funny! !